The Xbox One might eventually allow system-level voice commands through headsets and even offer more horsepower to game developers, both as a result of Microsoft's big decision to start selling their new console, optionally, without the Kinect sensor. Neither of those next-level changes is happening just yet, though both appear to at least be on the minds of the top Xbox team as far as I could tell after talking today with Microsoft's new(ish) Xbox chief and long-time Xbox games studios boss Phil Spencer. We were discussing Microsoft's move to start selling an Xbox One without Kinect next month, which lead to questions from me about things like Kinect-less voice commands and a reallocation of processing power from Kinect to other parts of the console. "We know that voice is important to a lot of people and I'd like to unlock that for as many people as we can," Spencer said, as we explored the idea of talking to the console without a Kinect. Currently, Xbox One users can use voice commands, sensed by the Kinect, to navigate system menus, pause streaming video and such. They can't use voice commands through with an Xbox One headset. Sensing a user's voice with Kinect's audio and visual sensors is optimal, Spencer said, but it sounds like it won't be the only way the Xbox One will be able to listen to its users. "I don't know if most people know this, but Kinect and the actual NUI part of it—or what we call the part that finds the skeleton—is actually an important part of the voice recognition, because we actually find where the mouth is in the room and we localize the array to that which helps a lot with our hit rate success with our voice commands. "Obviously, without Kinect involved, the scenario you bring up is something we've thought a lot about with headsets... people own phones today with a microphone .. there are other things we could do. It's part of our discussions about how to use the investment we've made in voice to make sure it's available to as many people as possible." Though it sounds like Microsoft would eventually offer headset voice control, Spencer said the company wasn't prepared to do that right now. Spencer: "We know that voice is important to a lot of people and I'd like to unlock that for as many people as we can." Microsoft isn't ditching Kinect. It will still be sold. Games can and will still use it. Spencer even says that he believes that "the best Xbox One is Xbox One with Kinect plugged in." But the console not automatically having a Kinect means it doesn't need a Kinect, which means that people making games for it shouldn't have to assume there will be a Kinect, which brings us to this idea: The removal of the Kinect as an automatic part of every Xbox One set-up could also lead to a reallocation of the console's processing power. Parts of a console's muscle are always spent on system-level processes like, say, achievement-tracking or party chat. 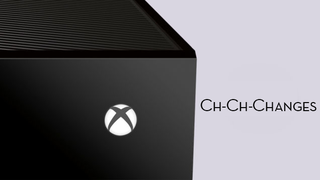 Some amount of Xbox One power has also been reserved for Kinect. Spencer acknowledged that game developers would like some of that power and that a Kinect-less Xbox One might have it to spare. "I know that developers want to get every bit of functionality out of the box that they can," Spencer said. "In conversations I'm having with our partners, that's something that's come up. We need to land the right plan there so that we've ticked off all the boxes to make sure we understand all of the long-term ramifications, but you bring up an idea and a workstream that we're focused on that makes a ton of sense. It's just about when we're ready to make those kinds of calls." Spencer: "I wanted to leave as much time as possible in our 90 minutes on stage at E3 to just hit the games line-up." Both the headset-for-voice-commands and the more-horsepower-for-games ideas may only be in the planning or exploratory stages at Microsoft, the Kinect-less Xbox One is a real thing. Well, it'll be real on June 9 when Microsoft starts selling the console without Kinect and the now-matched same price as the PlayStation 4, $399. As far as Spencer is concerned, this is a case of Microsoft listening to consumers, checking off boxes, and giving people choices. "There were some things we were hearing about our platform and, frankly, things they wished our platform did or policies that we would bring in. We're working through a list. Now the [next] thing on that list is 'have a great E3,' and I know that sounds kind of trite, but it's such a focus for us right now. "You have discussion about, 'Do you wait for the E3 stage or not?,'" he said, referring to the Kinect-free option and today's other news about tweaks to Xbox Live Gold. "I wanted to have the policies in place and the product available as soon as possible and I wanted to leave as much time as possible in our 90 minutes on stage at E3 to just hit the games line-up. Because I think fundamentally that's what people do with our platform and I want to have as much time as we could." E3 is just a month away. We'll have plenty more coverage about Microsoft and its competition then as they all continue to try to one-up each other for our gaming benefit.